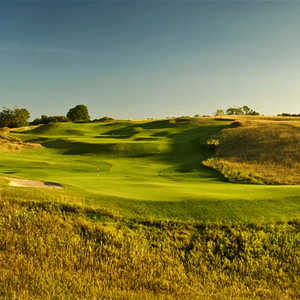 The original fescue is still going strong at 80-year-old Belvedere Golf Club in northern Michigan. 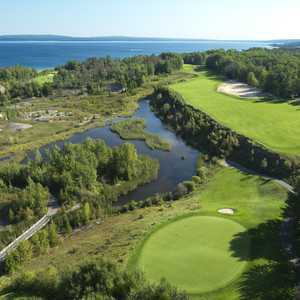 CHARLEVOIX, Mich. - Upscale, modern golf resorts like Treetops and Grand Traverse get the attention as the engine of northern Michigan's golf boom. But when PGA Tour legend Tom Watson is around, he steps back a bit further in time. Watson's family vacationed in Charlevoix when he was a teenager, and on those summer trips he'd find his way daily to Belvedere Golf Club. He remains a member today, calling in advance when he plays to head off any clubhouse fuss over his arrival and carrying his own bag as he walks the course. "He calls it one of the best in the world," Head Professional Steve Braun said. "I'm sure that's because of nostalgia and childhood memories, but he still comes back." The 80-year-old club is a stalwart of Wolverine State golf, hosting the Michigan Amateur 39 times. 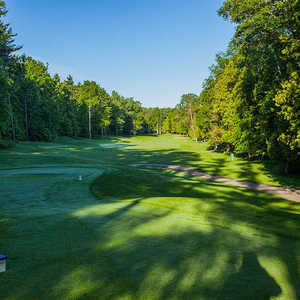 Some of the state's top players pass up the newer, longer northern Michigan tracks to play Belvedere, and over the years it's garnered a reputation among national golf cognoscenti as well. "We have a national membership," Braun said. "There are members here who are also members at Augusta National, Cypress Point and Seminole." Belvedere may not be quite as stiff a test as those clubs, which have continually evolved to take on successive generations of the world's best players. But it still offers a fair challenge for low-handicappers, along with an understated, traditional brand of prestige. The par-5 ninth, for example, is a modest 486 yards, but it doglegs right to run parallel with course-bisecting Marion Center Road. Go driver and you're apt to end up in the street (unless you can play a fade); play too far right and you're stuck in the trees. "It used to draw some of the biggest crowds" during the Michigan Amateur, Braun said. "The hill would be filled with people who wanted to see that shot played correctly." There are also some great birdie opportunities. The par-5 10th plays gently downhill and straight, making it much shorter than its official 527 yards. If you're good with a fade, the 465-yard, par-5 15th, with its 90-degree right turn, offers a great chance to reach in two. There are bigger, bolder, newer golf courses all over northern Michigan, but they can't match the character of this 1927 gem. There aren't many tricks - a creek running across some fairways, mature trees guarding others, out-of-bounds on several holes. You probably won't put up a huge number here, but making par is no given. Green fees peak at $79. The smallish fairways still use the original fescue grass, much like the courses in designer William Watson's native Scotland. Belvedere looks much as it must have when it opened 80 years ago. Plans to extend some holes notwithstanding, it will probably look that way for 80 more.